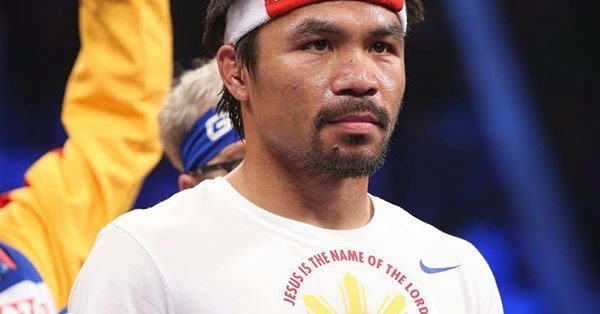 Things are turning rather ugly after a fan filed a class action suit against Manny Pacquiao and others in Los Angeles, California in the USA. Howard Sirota, a lawyer from Fort Lauderdale, Florida, has filed the complaint in behalf of himself and others "who felt robbed of their money as the fight did not live up to the hype" in the District of California for $5 million. This comes in the heels of a first lawsuit filed in the District of Nevada by two fans as a result of Team Pacquiao admitting they have prior knowledge that Manny injured his shoulder before the fight against Floyd Mayweather, Jr. and Pacquaio checking "no" on a form asking if he had an injury before the fight. Not answering the form accurately could have implications of suspension or fine for the Filipino boxer. In his complaint, Sirota accuses Pacquiao and Top Rank of "falsely, deceptively, and misleadingly" representing Pacquaio’s health status prior to the May 2, 2015 fight in order to receive millions of dollars in compensation. The suit is filed for Count 1 for fraud and intentional misrepresentation, Count 2 for unjust enrichment. The first suit in Nevada filed by Staphane Vanel, a magician from Paris, France, and Kami Rahbaran is also seeking over $5 million in damages. Fans are saying it wasn’t a fair fight and lost wagers thinking otherwise because of the non-disclosure of the shoulder injury. ESPN Sports Business Reporter has this report and thoughts on how this would go. Petrocelli said that Pacquiao was examined by doctors before the fight and was proved to be physically able, but re-injured his shoulder during the bout. He said the public was unaware that Pacquiao's original injury is immaterial. "This is a frivolous lawsuit and we are confident it will be dismissed," he added.